← Does WD need cartoon characters to reinforce brand recognition? 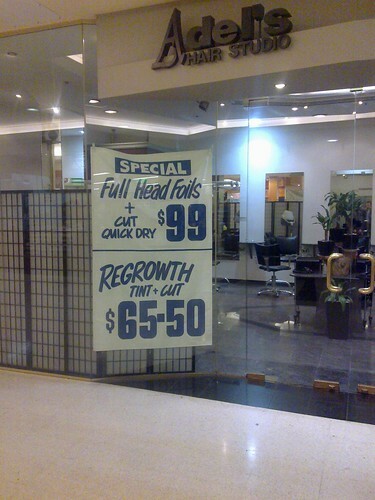 This hair dresser offers ‘Full Head Foils’. Something to protect against those annoying Orbital Mind Control Satellites? This entry was posted in Humor, Photos and tagged foil, hairdresser, mind control, paranoid, photo. Bookmark the permalink.